That is exactly what I did for this project. I needed to come up with something for handing out Easter goodies this year. I knew I had a lot of supplies, so I challenged myself to only use what I had on hand. 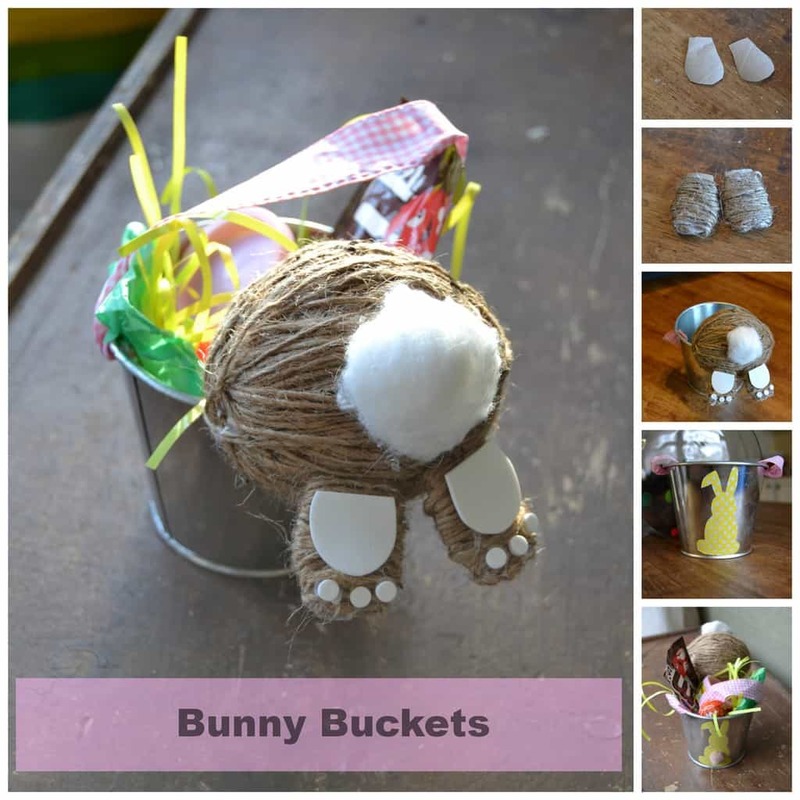 After a little brainstorming and a lot of trial and error, I think these bunny buckets are just what the Easter goodies need. The first thing I did was cut a slit in the Styrofoam ball with a steak knife so I could push it on the “lip” of the galvanized bucket. Then, I wrapped the entire Styrofoam ball (minus where the slit was) with brown, jute twine. I used hot glue a couple of times to help keep the twine on the ball. Then, I put some hot glue on the lip of the bucket (to help it stay there) and pushed the twine covered Styrofoam ball on the bucket. To finish this part (the bum) of the bunny, I added a cotton ball with hot glue. To make the feet of the bunny, I cut two “feet shapes” from a toilet paper roll (see pictures below). I wanted something stronger than paper and I knew the cardboard toilet paper roll would work (and I always have toilet paper rolls lying around). I wrapped the “feet” with the same brown, jute twine. Then, to make the “pads” of the bunny feet, I used a hole punch, scissors and white foam. I hole punched six circles and cut two half circles from the white foam. I used hot glue to add them to the feet. I used hot glue to add the feet to the underside of the bunny. To spruce up the other side of the bucket, I cut a bunny shape from adhesive scrapbook paper to stick on the bucket. Then, I hot glued a pom-pom tail on it. Easy peasy. 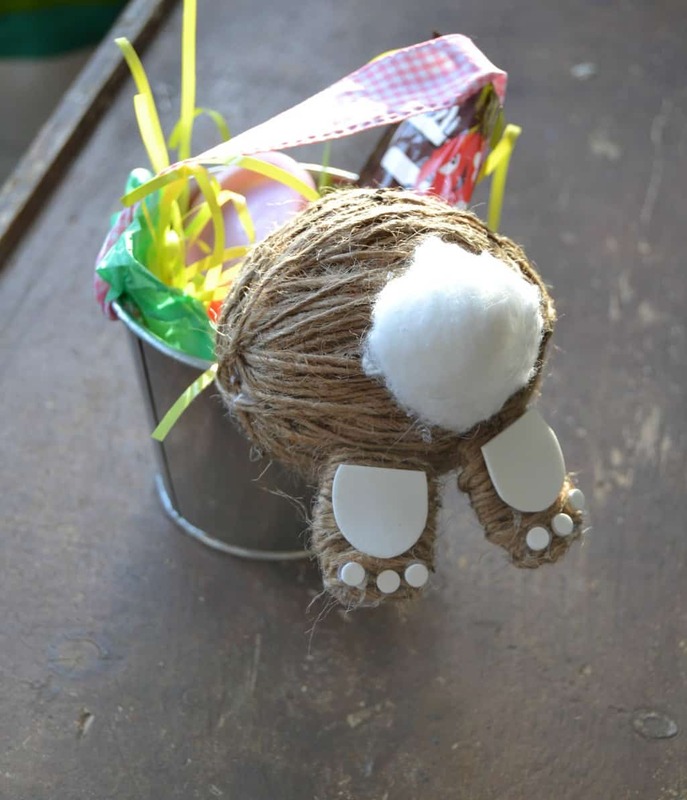 Inside the buckets, I used green tissue paper, Easter grass and of course, Easter goodies! Aww, those are so cute! Super cute! Reusable too! I like that! 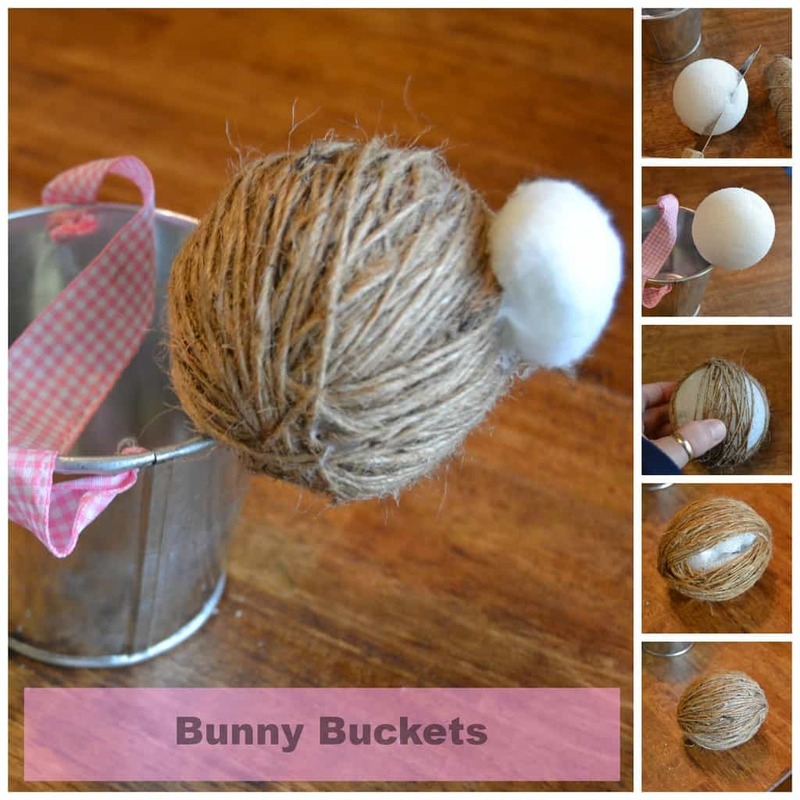 This is one of the cutest Easter crafts I’ve seen, just adorable!! Pinned to try next year, thanks for sharing! These are adorable! 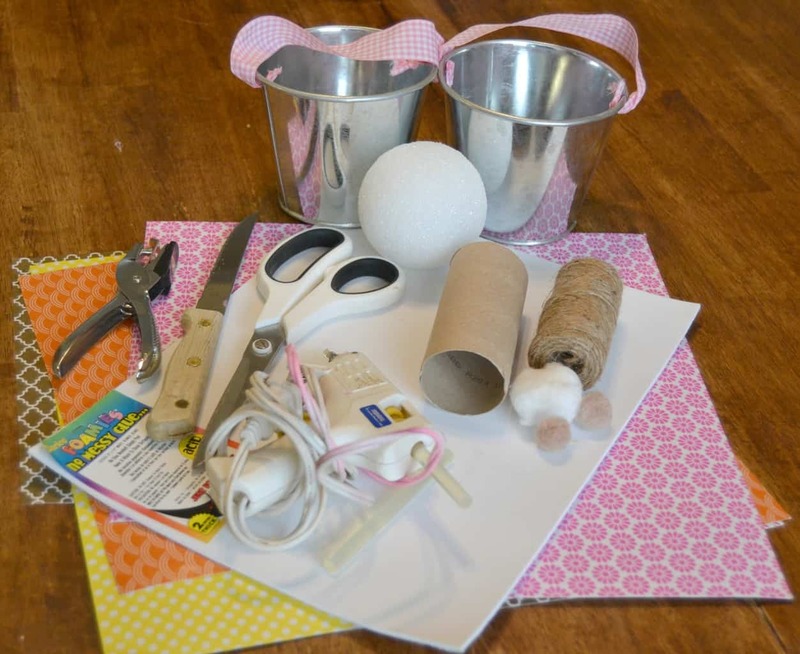 Your pictures and directions are the very best I’ve seen online to explain how to make something. I’m definitely going to try to make a couple of these. Thank you!